The new PROSTAFF P3 CROSSBOW is an ideal choice for hunters looking to upgrade the optic on their crossbows this season. Signature Nikon optical performance coupled with a proprietary BDC reticle designed specifically to maximize the range and efficiency of today’s hunting crossbows. Multiple layers of anti-reflective compounds on every glass surface provide bright and vivid sight pictures, optimum light transmission and maximum brightness from dawn to dusk. Designed for a variety of crossbow bolt, point weights and velocities, the reticle's 20-yard 'zero' provides corresponding aiming point circles for shots out to 60–and even beyond 80 yards–depending upon the bolt length, weight, point weight and velocity. 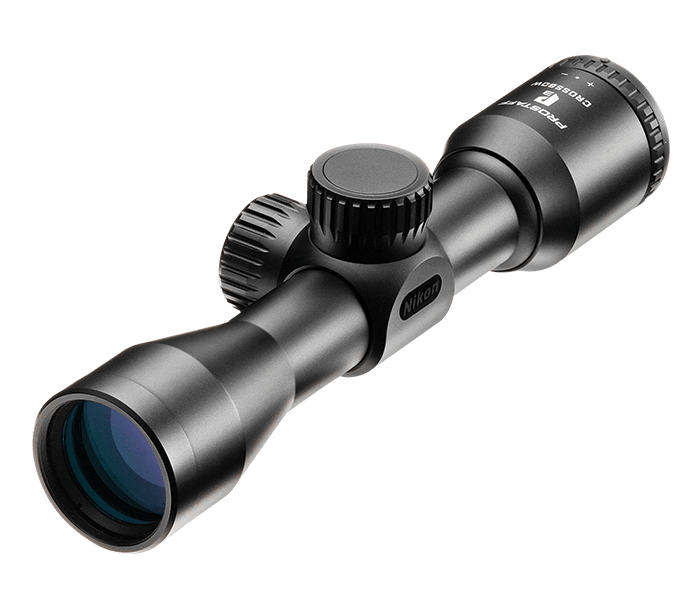 Reticle adjustments are made in crisp, positive 1-MOA click-stop moves you can both feel and hear. Turret caps are all-aluminum construction for lasting durability. Spring-loaded windage and elevation knobs can be reset to “zero” after sighting-in for easy reference when making field adjustments. Windage and elevation turrets are clearly marked for quick adjustments. All-metal construction for trouble-free rotation and rugged performance with generous eye relief, to help you get on target quickly. Excludes lost or stolen products and intentionally caused damage, and also excludes Nikon Rangefinders, Reflex Sights, Red Dot Sights, StabilEyes Binoculars & Specialty Optics.